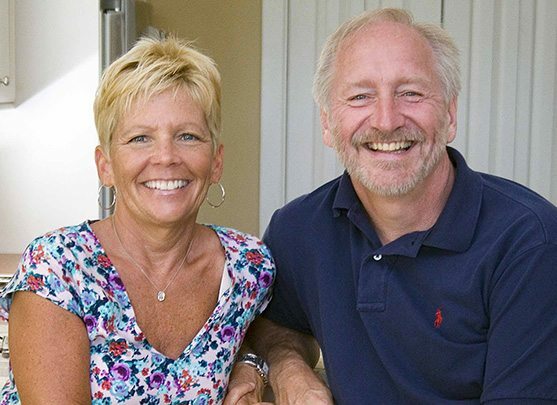 Jennie and Eddie have over thirty years experience and have operated their luxury kitchen boutique in the Santa Rosa Beach area for over twelve years. WE LOVE WATCHING A PROJECT TURN INTO A WONDERFUL SPACE FOR FAMILY. Jennie is a Certified Kitchen Designer (CKD) with the National Kitchen and Bath Association (NKBA). She is highly skilled in design, space planning and product selection and has an extensive knowledge of building codes, flooring materials and appliances. She has the ability to draft plans that are easily interpreted by plumbers, electricians and contractors. Jennie achieved CKD status in 1989. In 2006, Jennie was instrumental, along with other industry professionals in the region, with launching the NKBA’s Emerald Coast Chapter serving Northwest Florida, Alabama and Mississippi. Eddie specializes in cabinet installation – from kitchens and bathrooms to media centers and libraries. He does more than physically install cabinets, fixtures and appliances. As Kitchen Etc.’s installer, he uses his advanced knowledge of technical components to manage projects from start to finish. Eddie’s experience as a general contractor and finished carpenter gives Kitchens Etc. a different outlook on the project. With this background, he is able to foresee challenges and identify potential in spaces. His problem solving skills are particularly valuable on remodeling projects. Words from our satisfied clients…. Do not shop elsewhere! Kitchens Etc. will exceed all your expectations and deliver a top quality, worry free experience. We ran into a multitude of problems with the renovation of our kitchen and bathrooms (cabinets had been purchased elsewhere and were on site). After months into the project we thought we were finally in a position to move forward; however, once again we were presented with what seemed to be insurmountable problems. We were at a loss and turned to Jennie and Eddie, the owners of Kitchens Etc. in Blue Mountain Beach, Florida. Jennie’s fabulous knowledge and Eddie’s incredible skills saved our project. Walking in to a half completed renovation is a nightmare! I was constantly worrying about how we were going to get our renovation completed. Jennie and Eddie came up with solutions that resulted in a beautiful kitchen and bathrooms. After 4 long days of Eddie working in our kitchen I knew the nightmare was over. Without Jennie Rowe and Eddie Hatfield we would have been lost. Their professionalism, compassion and guidance was outstanding. Looking back, I only wish Jennie and Eddie had been involved in our renovation from the very beginning. The expression “Penny wise and pound foolish” comes to mind. You get what you pay for and this couple is worth their weight in gold. My husband says “you can have cheap or you can have good, but you can’t have both”. With Kitchens Etc. you get an outstanding experience and how do you put a price on that? We are truly blessed to have such a talented company on the ‘Emerald Coast’. Kitchens Etc. was referred to me by a friend and my builder. Jenny Rowe asked me probing questions about type of function/layout, style (traditional, contemporary) and for the kitchen how many people might be cooking/visiting at one time. Jenny designed a layout solving a few tricky functional issues. The process flowed easily because of Jenny’s ability to communicate with me and keep the project moving in a timely manner. Kitchens Etc. also provided the cabinetry for all baths. The truly amazing part was this was done long distance which included in person meetings, emails and phone conversations. Jenny coordinated all installation with the builder. Kitchens Etc. enabled this part of my new home construction to run smoothly. I have known Jennie and Eddie since 2006 when I was searching for someone to remodel my kitchen at our beach condo. Jennie was very skilled in redesigning a very small space to maximize the storage potential with great results. Couldn’t have been more pleased! After the remodel of two bathrooms and referrals to several friends in the same condo complex, all with great results, Kitchens Etc. was the likely choice (really a no brainer), when we recently purchased a home in the same area. A complete remodel is currently underway. I know the results will be awesome! What we love the most about these skilled professionals is the care they take in treating our project with the same attention they would in their own home. Nice, nice people too! Kitchens, Etc. is a Top Rated Provider on Houzz.Com!